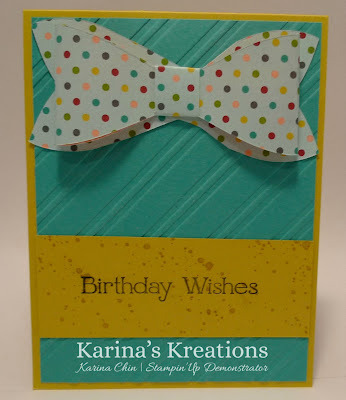 Karina's Kreations: Stampin'Up Gift Bow Die Card! Stampin'Up Gift Bow Die Card! I have two new products to share with you today. 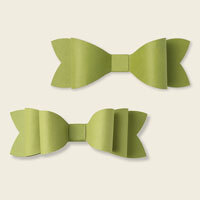 The first is the Gift Bow Bigz L Die #129977 from the new mini catalog. 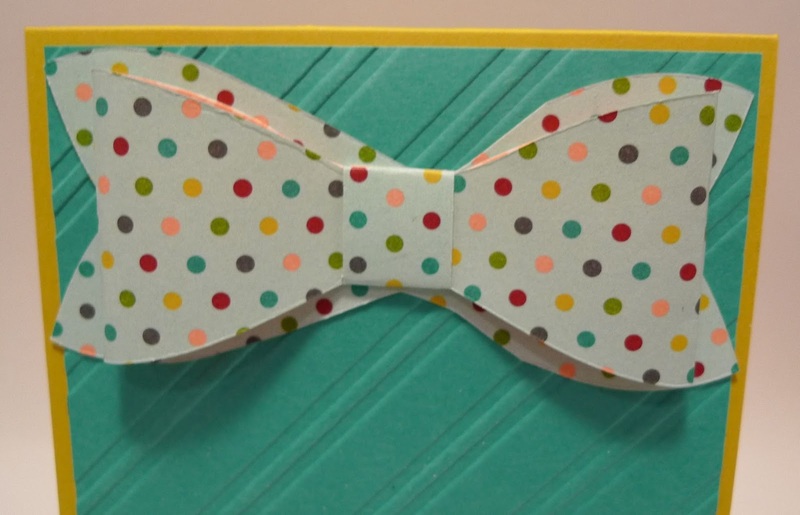 The second is the new Stylish Stripes Embossing Folder #132174. Both of these items are shown as Christmas cards in the Mini catalog however I wanted to show you how you can use these products all year long. I made this super card card in only 5 minutes. Best of all it can be easily mailed. 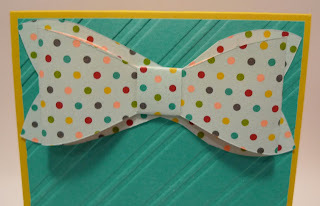 I'll be using the Gift Bow Die on all my presents this year!! If you want to make some cute cards, sign up for my stamp set of the month group. You'll get three hand stamped cards and the instructions to make more cards at home. This is a very cute card. I can see it working for many different birthdays.